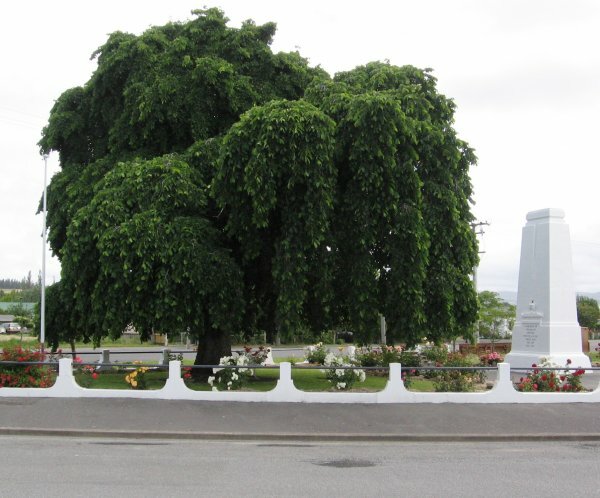 A fine specimen located beside a striking cenotaph which memorialises the men of Cheviot who fell in the Great Wars 1914 - 1918 & 1939 - 1945. 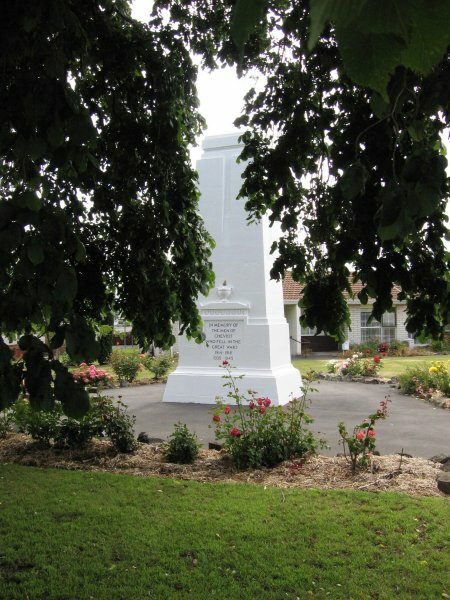 The memorial was first unveiled on the 14th of March 1926 and records the names of 37 local servicemen who lost their lives. 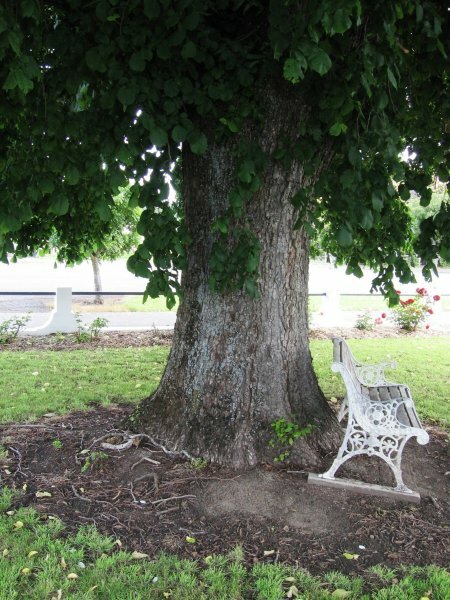 It is assumed that the elm was planted at the time of unveiling (Cadwallader 2012). 11 Mar 2012 Cadwallader, B.G. Prominently situated beside the footpath.